What is Ketamine? Is Ketamine Addictive? Repeated use of ketamine can have a negative impact on your memory, concentration and psychological wellbeing (Reuters Health, 2009). Ketamine can be difficult to stop on your own. Rehab can provide the support and tools you need to discontinue use and reclaim your life. Do I need Ketamine Rehab? Is There Ketamine Treatment? Get Help Today You don’t have to continue suffering the effects of ketamine addiction. Find a treatment center now. If you have ever tried to stop using ketamine but you have been unsuccessful, this may indicate that you have a severe ketamine abuse profile that requires professional intervention. If you have gone to outpatient treatment but have been unable to maintain sobriety, you may need to try inpatient rehab. This may be due to easy accessibility of ketamine. Lack of social support may also make it difficult to pursue abstinence. Even mild withdrawal symptoms can make it uncomfortable to stop using without help and, furthermore, can compel one to resume or continue use. A rehabilitation program offers medical support to treat these symptoms while allowing you to be in a safe and comfortable environment. If you are suffering from ‘K-cramps’. Heavy ketamine users frequently experience intense abdominal pain, known as ‘k-cramps’. These cramps are implicated in continued use, because users keep taking more ketamine in order to alleviate the pain. Being in rehab removes you from an environment where ketamine is readily available and your friends are using. It can be scary coming to the realization that you have a drug problem that requires you to put your life on hold to get help. 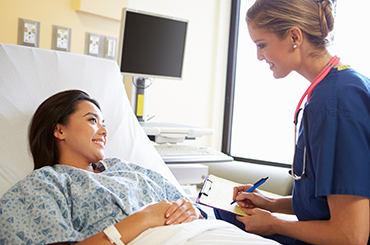 When you are admitted to the facility, a staff member will collect demographic and insurance information. How your use has impacted your life. A staff member will also search your belongings – while this can seem invasive, it is to protect you and other patients in case there are drugs in your belongings. You will also be asked to provide a urine sample, to assess for any renal issues and/or concurrent use of other substances. This will help the medical team provide you with the most appropriate care. 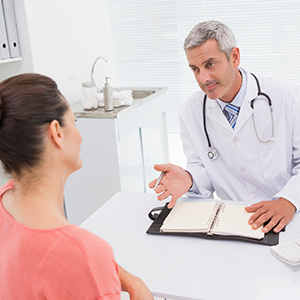 A doctor will conduct a physical examination and outline your course of treatment during detoxification. Once you complete detox safely, you will participate in a schedule of daily activities that includes educational lectures, group and individual counseling and meetings. Statistics have shown the longer someone is in treatment, the better their chances of long-term sobriety are. A traditional 30-day rehab should suffice for ketamine addiction, followed up with about 6 weeks of intensive outpatient (IOP) and then continuing care group once IOP is completed. Some inpatient rehabs have 60 and 90 day programs. Other programs are 6 months or longer which can be beneficial for someone who has relapsed previously or been in multiple 30 day rehabs. Residential. A residential rehab is a treatment center where you live and receive any needed medical attention, in addition to counseling and education for your addiction and the consequences of your addiction. This is also a place where you learn the skills necessary to cope with life without using. Ketamine users frequently report memory impairments that are reversible after a period of abstinence. The level of care available at residential rehabs can be particularly effective in facilitating memory improvement and any other cognitive deficits caused by ketamine use. Private or Luxury. Private rehabs are similar to residential rehabs but you may have your own room and participate in treatment on a highly individualized, one on one basis. Luxury rehabs are more expensive and offer better amenities, similar to what you find at a 5-star hotel, like chef-prepared meals and massage therapy. Executive. Sometimes it is difficult to get enough time off work to be in inpatient rehab. If you hold a position in your company that requires you to have access to your phone, laptop and Internet, an executive rehab is going to be your best option. Age-restricted programs for adolescents or the elderly. Programs that incorporate holistic therapies or have a religious/spiritual methodology. Dual-diagnosis programs for comorbid psychiatric problems, like depression or anxiety. Depending on treatment type, some rehabilitation programs can cost tens of thousands of dollars. You can take out a private loan to cover this cost or see if family members would be willing to pay for treatment. Some treatment programs will provide discounts if treatment is paid for upfront. There are nonprofit foundations that may sponsor your stay in rehab. Some rehabs will work with you on a payment plan, so you can break down the cost in installments to make it more manageable. You can check whether the program accepts insurance. Depending on your job, some companies have employee assistance programs that may cover some part of the rehabilitation treatment. Does Insurance Cover Ketamine Rehab? The Affordable Care Act has made it possible for more people to have access to drug rehab or behavioral health treatment as insurance companies must offer this type of coverage. Some insurance companies and plans will cover 30 days of treatment at the inpatient level or may require a person to try outpatient rehab first. You can call and ask your insurance company to explain the policy and any restrictions. For example, some companies will only pay as long as you meet specific medical criteria that demonstrate a necessity for professional intervention at the inpatient level. After inpatient rehab, it is important to participate in some form of outpatient treatment, as it can be overwhelming to be out of the protective bubble of rehab and in the real world. 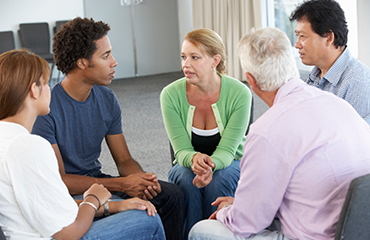 Find a Meeting 12-step meetings and other groups can help you find community support to maintain sobriety. Find a meeting today. Transitional living, which can be referred to as a halfway house or sober living, can be coupled with outpatient treatment and allow you to be surrounded by other sober people while engaged in society. The occurrence of psychotic, or ‘schizophrenia‘ like thought disturbances have been frequently reported with long time ketamine users, so transitional living after rehab can help you recuperate if you are suffering from cognitive difficulties. This is your opportunity to practice implementing the coping skills you learned in rehab in your everyday life. Engage in things that will help protect your recovery and prevent relapse, such as 12-step meetings, sober recreational activities, meditation and service work. Whether your insurance provider covers the center. The type of services provided. The success rate of the treatment. The options available for continuing treatment after discharge. Individual and group therapy options. Extent of family participation, whether through visitation or involvement in therapy. If you are struggling with an addiction to ketamine, finding help can be confusing and overwhelming. a treatment support team is available, 24/7 to provide you the help you need in choosing the right ketamine rehab center on a confidential basis. Please call 1-888-993-3112Who Answers? today.